If you have been reading my blog for a while, you know that I am a BIG Disney fan. I have blogged about the Mickey and Minnie at our wedding, our Disney World honeymoon, and trips to Disney World with the boys. There have also been flashback posts about trips that I took to Disney while a child. Thanks to Social Media, I have met a lot of other people that are huge fans of the House of Mouse. While at the Disney Social Media Moms Celebration last February, I met several of the people that I had been chatting with about Disney. Of course, I also missed seeing many others that I wish I had seen. This year I am hoping to fix that since several will be back again. One of the people that I can not wait to meet is JL Knopp. JL is also known as Neurotic Disney Mom 1 (NDM1) and started The Disney Driven Life – Community Blog for Neurotic Disney People. JL and I have chatted on Twitter many times over the last year or so. The other day I received a cryptic message from JL asking me to call her. We missed each other, so I had to wait 24 hours to see what was going on. JL wanted to see if I would be interested in writing on The Disney Driven Life. More specifically, she wants me to write about EDUMICKATION. I was so honored and said yes. Thanks to this, I have been brainstorming on topics to write about within this rather large Disney umbrella. So NDM183 (that’s me) will be starting posts on The Disney Driven life all about Edumickation. I hope you will stop by to see my posts, and look at the other amazing resources there. Have you ever used something related to Disney in a teachable moment? If you have please share and if not how do you think Disney would have helped you and/or your child? I’m trying to think. I’m sure we have, since there is a teachable moment in almost everything, and we homeschool… Lots of times, “where are their parents?” or “what happened to Bambi’s mom?” or stuff like that has come up, so it has given us the chance to talk about death, and also about alternative family structures to our own. I’m sure there must have been, but I can’t think of any at the moment! that is a hard one. I think it is easier to use the movies and show children watch to help them learn what is appropriate behavior. Disney has always in the past, had wholesome values and teachable moments. However the world has lost it’s way to appropriate behaviors, and in must shows kids and characters are disrespectful to their elders. So I tend to use it as a teachable moment of how not to be! All the time! For instance when my daughter wanted to just eat the grapes out of the bag while grocery shopping and I reminded her of how the merchant in Aladdin wanted to punish Jasmine! We had the rest of the time searching for merchants who might be fixing to punish our fellow shoppers. 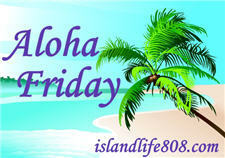 Please feel free to come by and answer my Aloha Friday Question. I”m sure we have each time they watch a disney show and I’d ask them, so what did you learn. What did so and so do when this happen etc, but it’s hard to find one I can remember right now. Go a writing to your hearts desire! It’s always better when it’s something you love! Well recently my son has really been into Cars, so when we watch it I try to use certain scenes as teachable moments, but at 2, I am not sure he always gets it. My kids were teenagers when the Lion King was released. We used “Hakuna Matata” for more lessons in our home than I could ever count. What does Hakuna Matata mean? “Oh Well”…find the humor in it and carry on. Also, living close to and experiencing Disneyland on a regular basis gave us the opportunity to teach our kids to always follow their DREAMS…because as we all know…anything is possible! Congratulations on your new gig!!! That’s great! I have been to A Disney Driven Life. I think I may have even signed up! Not sure if I’ve used a Disney reference to teach my boys, but while watching movies, I have pointed out the good and the bad so my older son would be sure to know what was really going on in the movie. Congrats on your new gig! Can’t think of a specific instance of EDUMICKATION. But I’d say kids can get a generic intro to geography and culture at the preschool level from some of the movie themes. My son is 3 1/2 and we always discuss Disney shows and movies. One, specific thing I can think of when it comes to teaching with Disney, is a lapbook I made for him based on the movie CARS. I found it on the blog 1+1+1=1 and she uses themed lapbooks for homeschooling. Alex LOVES this and he’s learning at the same time. Oh! and with our LeapFrog and Vtech items…Alex learns from those games…always wants Disney something-or-other. It was so long ago that my boys were young (they are now 24 and 27) that I really don’t remember. Congratulations on your new “gig” I know your articles will be very informative and interesting.